This semi-evergreen perennial has no common name. 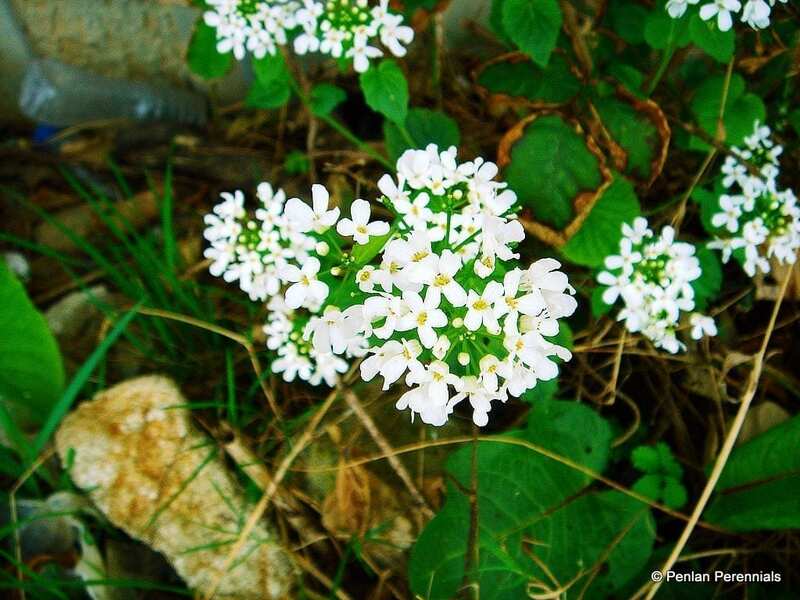 It hails from the woods of north-east Turkey and the Caucusus and has glossy, dark green leaves. The heads of four petalled white flowers give excellent early spring colour, whilst the leaves continue to look good throughout the year. Tough, hardy ground cover for full or part shade, it associates well with spring bulbs and Pulmonarias. Valuable in dry shade, where it is tolerant once established. Cut back old stems in early spring and remove flowers once spent, unless collecting seed. Propagate by sowing seed in summer, when still fresh.